On one side is the world no.5 with Montréal’s entire Romanian community behind her. On the other is the young American, who’s had an incredible rise and results that exceed expectations. She even managed to topple Venus Williams. Simona Halep and Madison Keys are now set to play in the final of the 2016 Rogers Cup. But only one will raise the winner’s trophy. Will it be the fiery Halep who likes long rallies or the tall and powerful Keys and her overpowering serve? Halep leads their head-to-head 2-1 and won their last two matches—their most recent of which was just a few weeks ago in the round of 16 at Wimbledon, where Halep triumphed in three sets (6-7 (7), 6-4, 6-3). They have battled once on a hard court, at the 2014 Australian Open. Keys came out the winner. 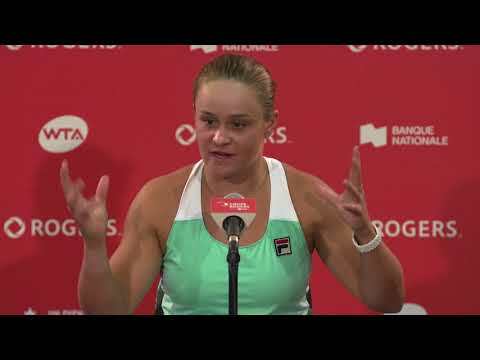 The 24-year-old Romanian knows the vagaries of Rogers Cup. 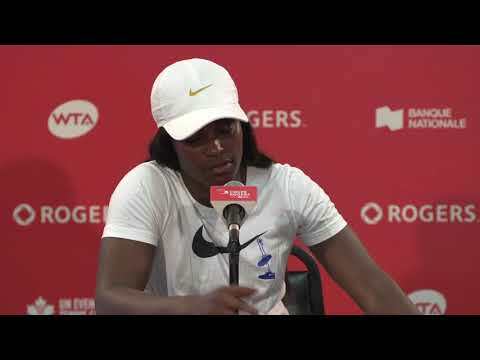 In 2015, she reached the final in Toronto but ultimately had to retire due to cramps and heat exhaustion. Despite playing in the singles and doubles semifinals with less than one hour’s rest between the two matches, Halep is ready for Sunday. Keys, on the other hand, should be well rested. On Saturday, it took her only 50 minutes to dispose of Kristina Kucova, who ousted Eugenie Bouchard earlier on. And, unlike Halep, Keys didn’t play doubles.